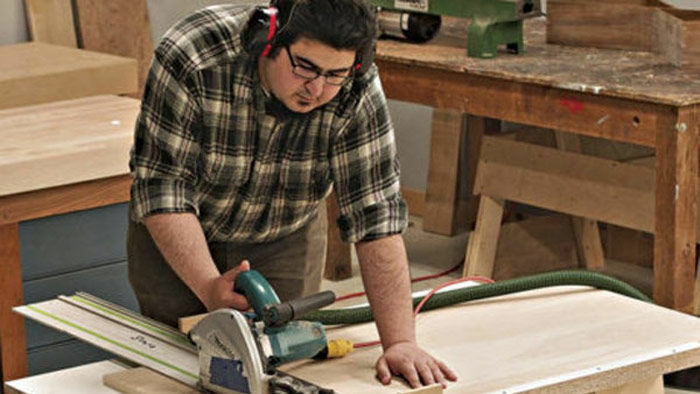 Our editors have gone through our archives for their favorite articles and videos on power tools. 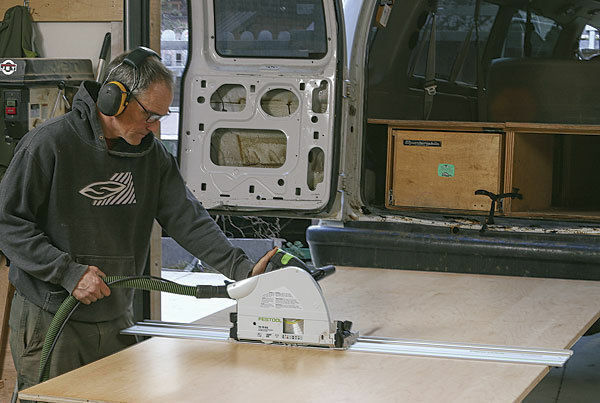 Below are the top seven articles and videos about biscuit joints, track saws, random-orbit sander, Festool’s Domino joinery system, miter saws, and nailers. Synopsis: Are you biased against biscuits? It might be time to take another look. 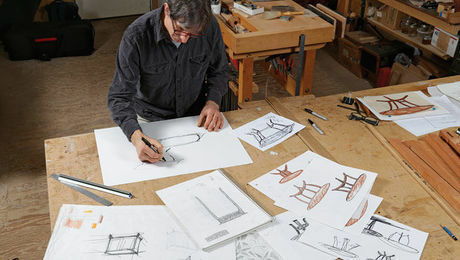 Michael Fortune has, and he’s learned that they are great for joining the rails and stiles of a face frame, attaching a solid-wood frame around a veneered panel, tabletop, or door, joining a leg to a veneered panel, and other uses. 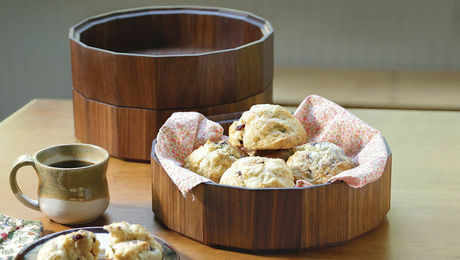 Biscuits also let him build adventurous furniture that would be difficult with traditional joinery. Wait, you argue: Biscuit joiners are inaccurate, they jerk sideways when you start a cut, and they jump around when you’re trying to use them. 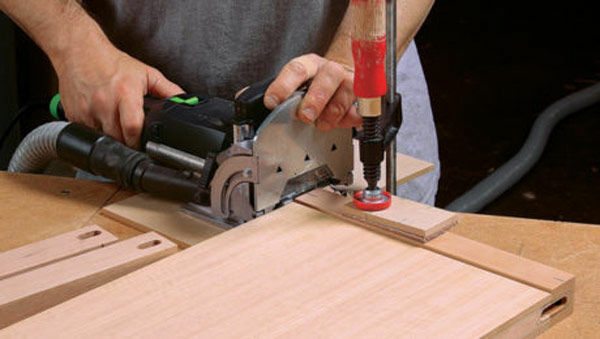 You need to try Fortune’s solution, and attach your joiner to a shopmade table. It might just change your attitude about biscuit joints. Synopsis: Track saws have come a long way since they were developed about a decade ago with basically one mission in mind: cutting up sheets of plywood. They are now used for all sorts of jobs. We tested seven of the saws currently on the market for power and quality of cut, blade deflection, and ease of handling. In the end, three saws stood out. Models tested include DeWalt DWS520SK, Festool TS 75 EQ, Festool TS 55 REQ, Grizzly T25552 Master Pack, Mafell MT55CC, Makita SP6000J1, and Triton TTS1400. Synopsis: Track saws are equally at home in the workshop and on the job site. Ben Strano shows how to build a table that will make the track saw your go-to tool for crosscutting panels that are too big for your tablesaw. 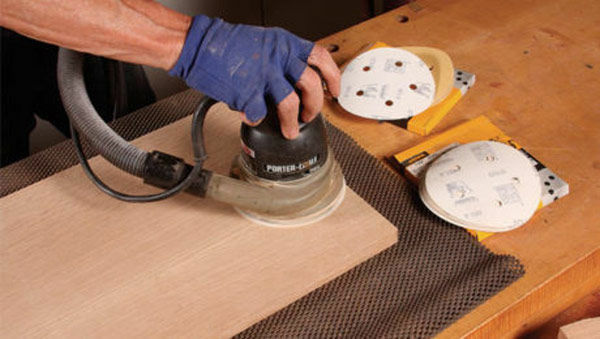 Synopsis: The random-orbit sander might seem like a no-brainer tool, but there are good and bad ways to use it. 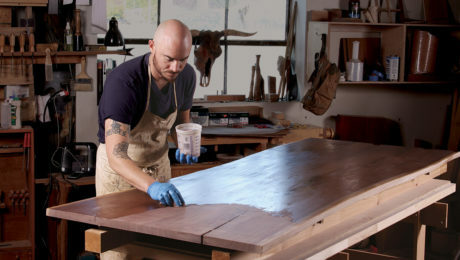 In Part I of this series, you’ll learn which sandpaper grits to use, how to get more life out of each disk, and how to sand evenly for a scratch-free surface. 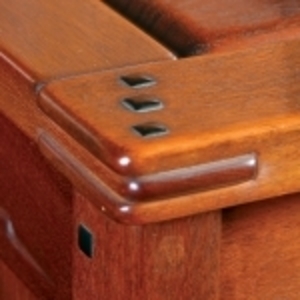 Synopsis: By now, most woodworkers have heard about Festool’s Domino joinery system. Working as quickly as a biscuit joiner, the domino does something entirely different. 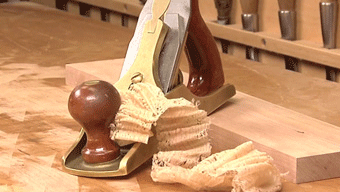 It cuts deep mortises for strong tenons and rock-solid joinery. 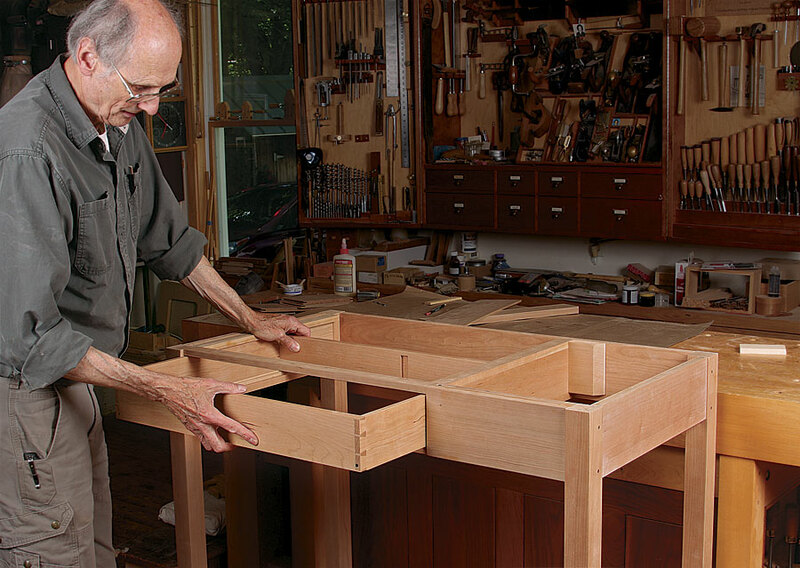 In this short video, Fine Woodworking special projects editor Asa Christiana demonstrates how to use the Domino joinery system to create solid mortise-and-tenon joinery. 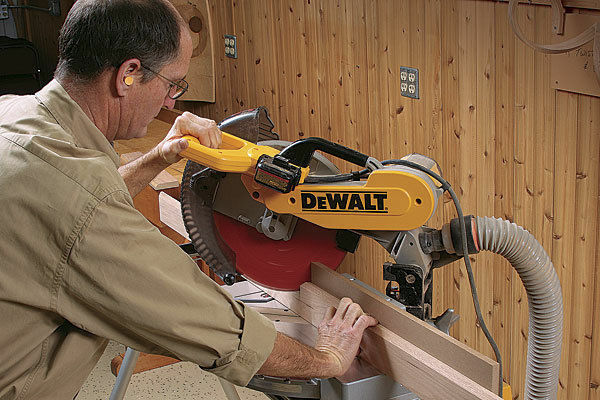 Synopsis: The relatively lightweight and portable miter saw is a valuable woodworking tool. It’s great for crosscutting and mitering, and it’s also the quickest way to cut rough lumber to size. 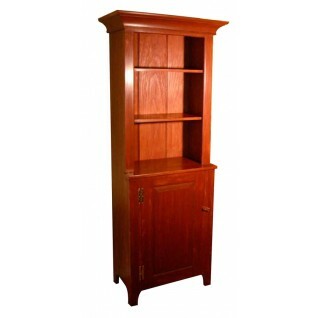 But most people have not been trained in the proper way to get furniture-quality cuts safely on this machine. Woodworking teacher Marc Adams advises sticking with a basic chopsaw and not bother with sliding versions. 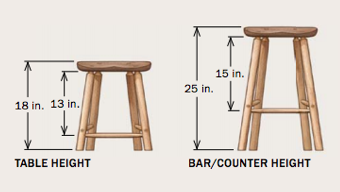 Do, however, invest in a 12-in. model and a good blade. Add a zero-clearance throat plate and a sacrificial fence, and you will eliminate chipout and make the saw safer. Add a simple stop block and follow Adams’s tips for using the tool, and you will be rewarded with clean and accurate cuts every time. 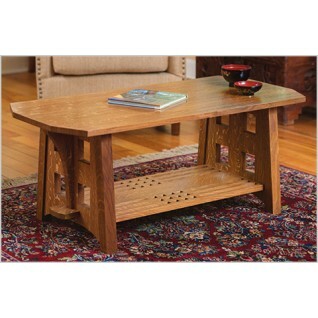 Synopsis: Is there a place for nails in fine furniture? 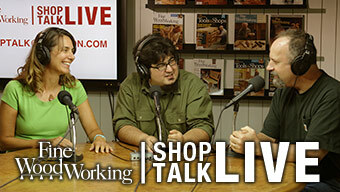 Many well-respected woodworkers think so. 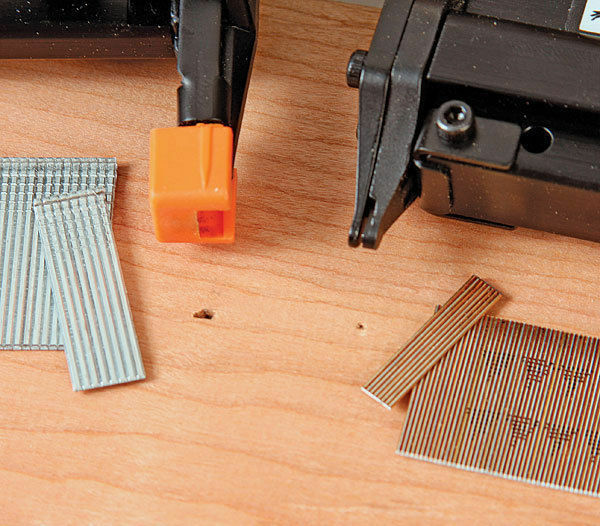 Brads and pins can be a speedy substitute for clamps and are a great way to attach glue blocks, case backs, and other parts where the holes won’t show. 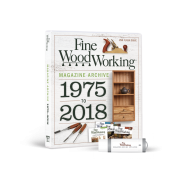 There are two basic types of nailer appropriate for woodworking: pin nailers, which fire tiny, headless nails that leave practically invisible holes; and brad nailers, which shoot a larger fastener with more holding power. Depending on the type of work you do, one or both might deserve a home in your workshop.